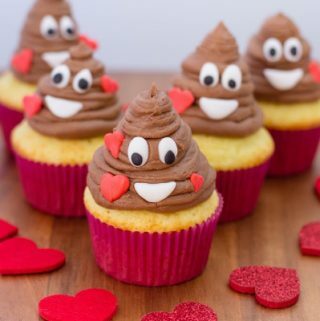 Valentine’s Day should be for everyone! 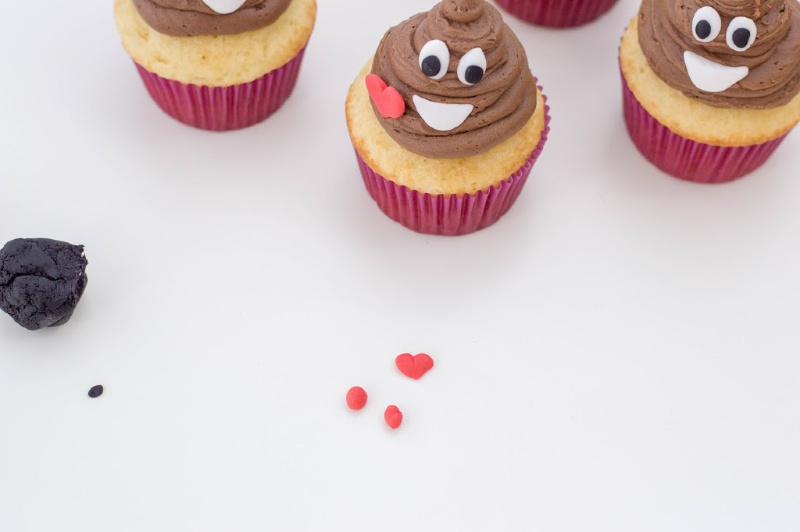 Even if you’re an… er… poop Emoji? 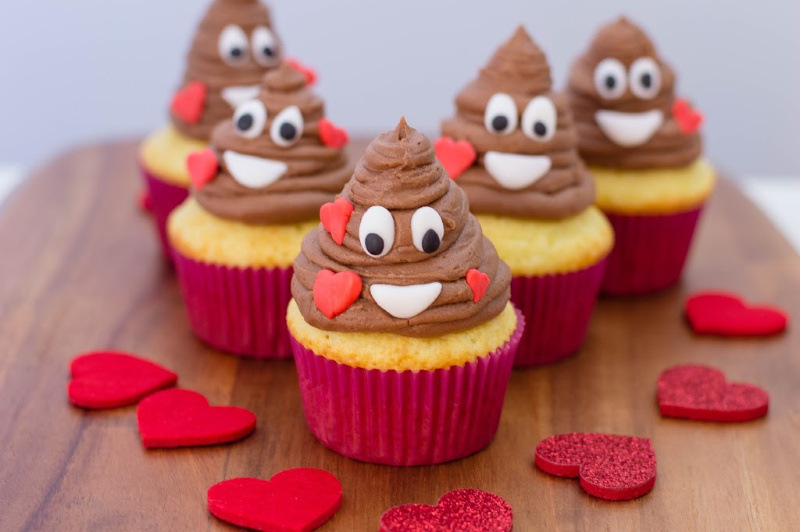 These V-Day cupcakes are entirely inspired by the Poop Emoji… my favorite one! He’s just so cute and not-so-stinky considering he’s a… well, you know. 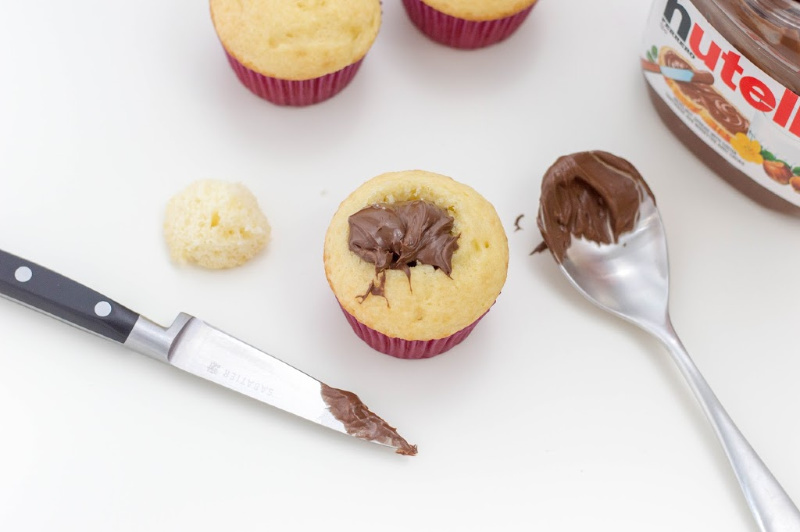 All jokes aside, these cupcakes have a surprise Nutella filling. 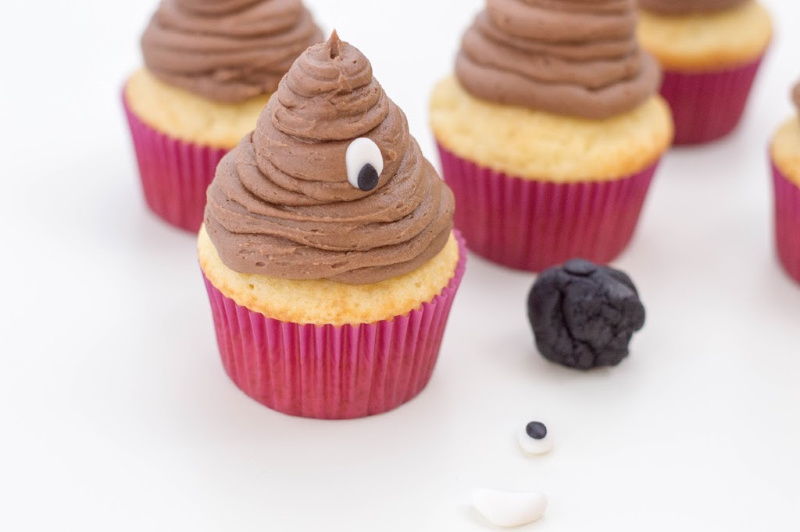 Extra chocolate, who’s in?! 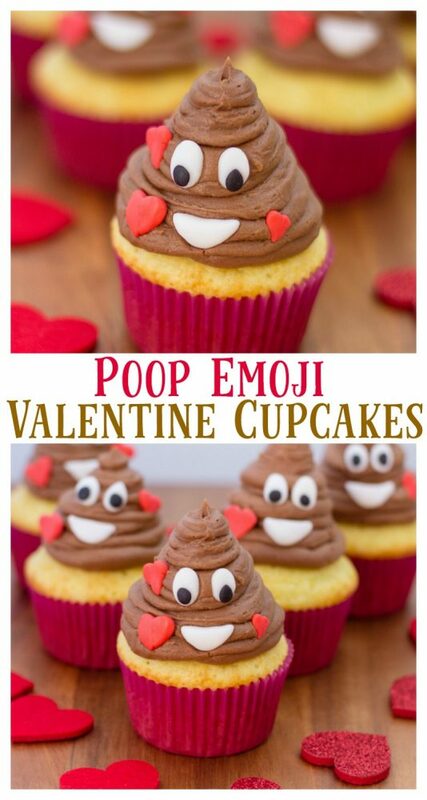 If you’re trying to think of a treat to whip up for this year’s Valentine celebrations, try and make these! 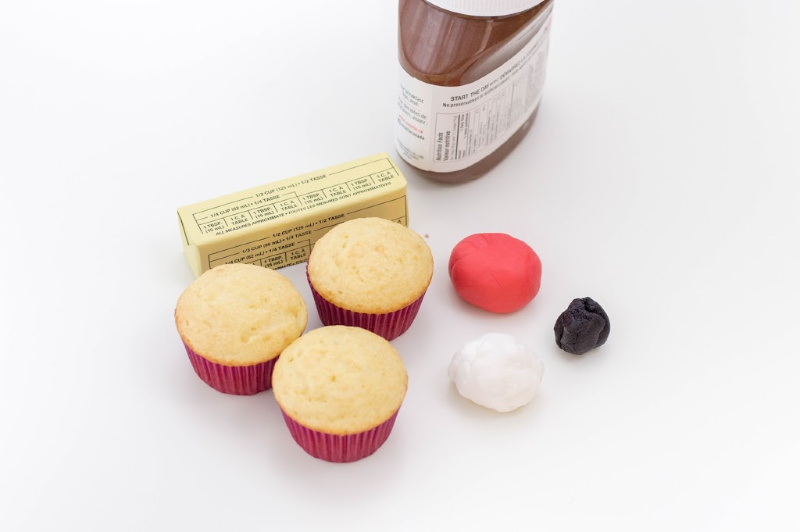 They are so easy to put together and will put a smile on anyone’s face! Tell me what your plans are this Valentine’s Day! Which emoji is your all-time fave? 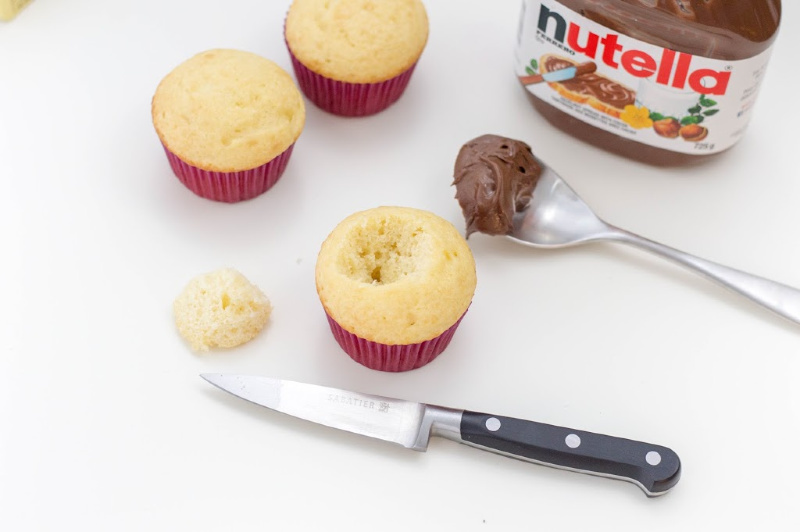 Using a paring knife , cut out the center top of each cupcake and remove. 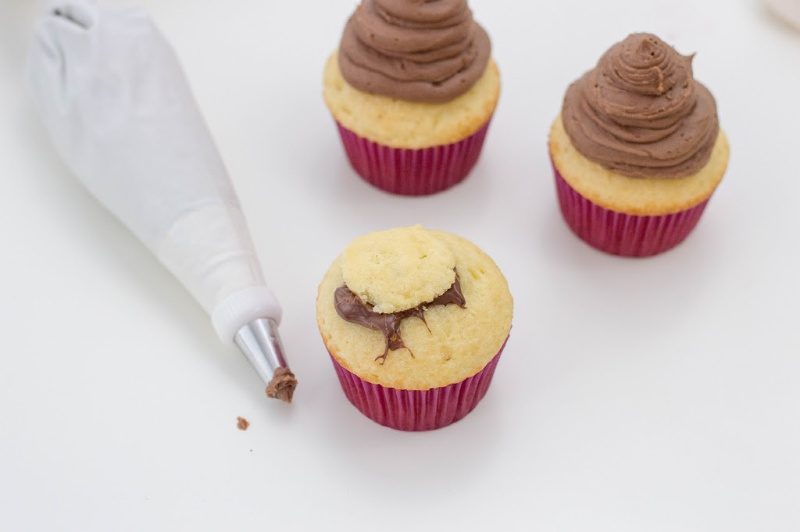 Save the tops – you’ll need them to top your cupcake after the next step. That’s looking awesome, it look like it have mouth watering and ultimate taste .